As a software user, you click on a button, a dialog box appears, you select your options and the work is done. On the other side, the developer side, the world is not that easy. Developing a good user interface that should work on several platforms is a real challenge. The Qt framework takes that difficulty away and allows developers to concentrate on the core features of the application they want to develop. Supporting that effort, Idiap signed an agreement to be an official contributor to the Qt framework, allowing people to participate under Idiap’s name. For over twenty years, The Qt Company (originally Trolltech) has been developing, with the help of its community, a software stack or in other words a set of software components needed to create a complete platform. This stack helps developers to build nice looking and cross-platform applications not only for graphical user interface, but also provides tools for network communication, database interaction, location and positioning and much more. It also provides development tools including an Integrated Development Environment (IDE) but also a 3D, as well as a design, studio. Thanks to this versatility, Qt allows both developers and designers to work together to create high quality applications on their favorite platforms for their target audience. The collaboration started thanks to research and development engineer Samuel Gaist. Beginning almost six years ago, Samuel became over the years a major contributor through his activity on the forum as well as patches for bug fixes, new features, documentation, etc. During this period, he became the first Qt Champion and also gained the rank of Champion for life. Behind the shiny title, there is an enormous amount of work that also allowed him to become an approver. This means that he can give the authorisation to contributors to start the integration of their patch into the module they are contributing to. Thanks to Samuel involvement, Idiap has signed the Corporate Contribution Agreement with the Qt Company. Thanks to the agreement, with the prior authorisation of their supervisor, Idiapers can contribute with patches written during their working hours. 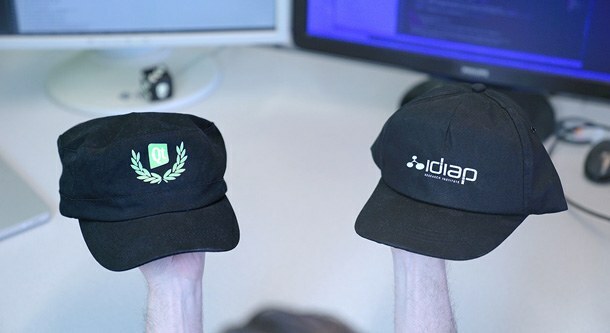 By doing so, Idiap is joining other major companies such as Intel, KDAB or KDE. People wishing to get involved should contact Samuel as he is the administrator of the group for the Idiap Research Institute on the code review tool used by the Qt Project. The framework built by the Qt project can be useful for various types of applications. From simple tool to pilot robots like Idiap’s Pepper to database clients, from IoT software without graphical user interface to fancy 3D mobile application, possibilities are countless. Many sectors are already using the tools developed by the project, for example the medical and automotive industry, but also governments using Linux in their software stack. Join the project to also be a part of it!